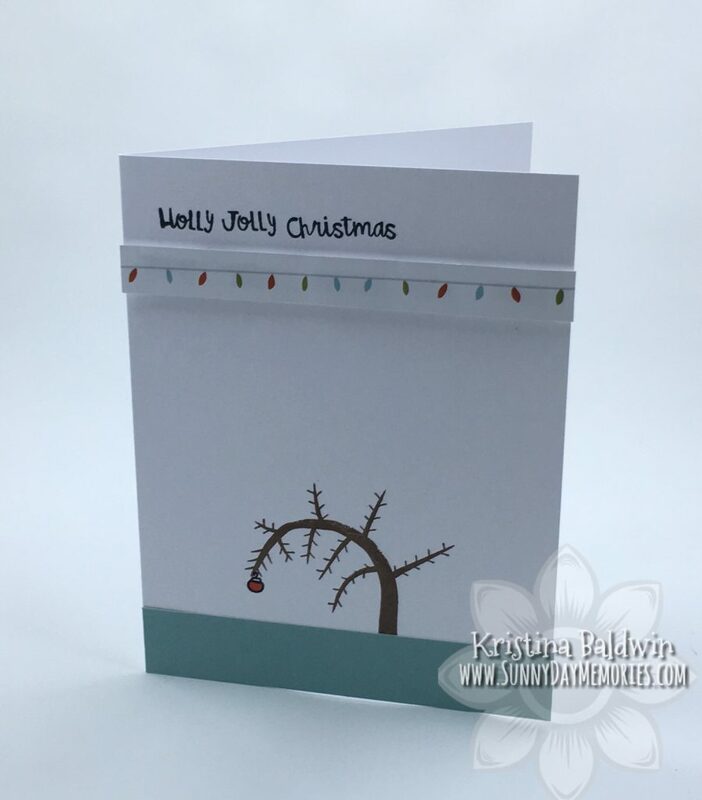 I didn’t really have a plan for the rest of the card other than I knew I wanted to keep it simple as the focus should be on the tree. 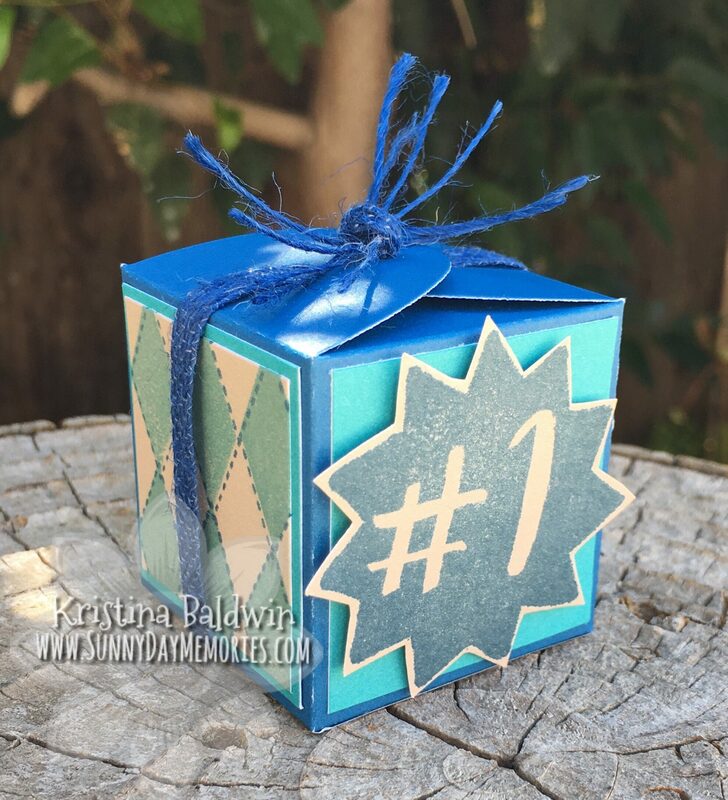 I did a strip of Glacier Cardstock to represent Linus’s blue blanket that they had wrapped around the tree and then I used the *NEW* Christmas Bingo Stamp Set to create the sentiment. This set has a lot of potential with all the wonderful words it contains. Plus, I really like the font! It’s a nice, easy to read cursive font. The card still needed something. I found this Zip Strip (the 1/2″ border strips found on all of Close To My Heart’s papers–one side tells you the colors used in the papers and the other side lets you use it on your projects. Clever, right?!) from our now retired Beary Christmas Paper Collection. I liked that it offered a more uniform appearance to counter the whimsical tree. And it had Glacier lights in the string to tie in nicely with the Glacier I used at the base of the card! 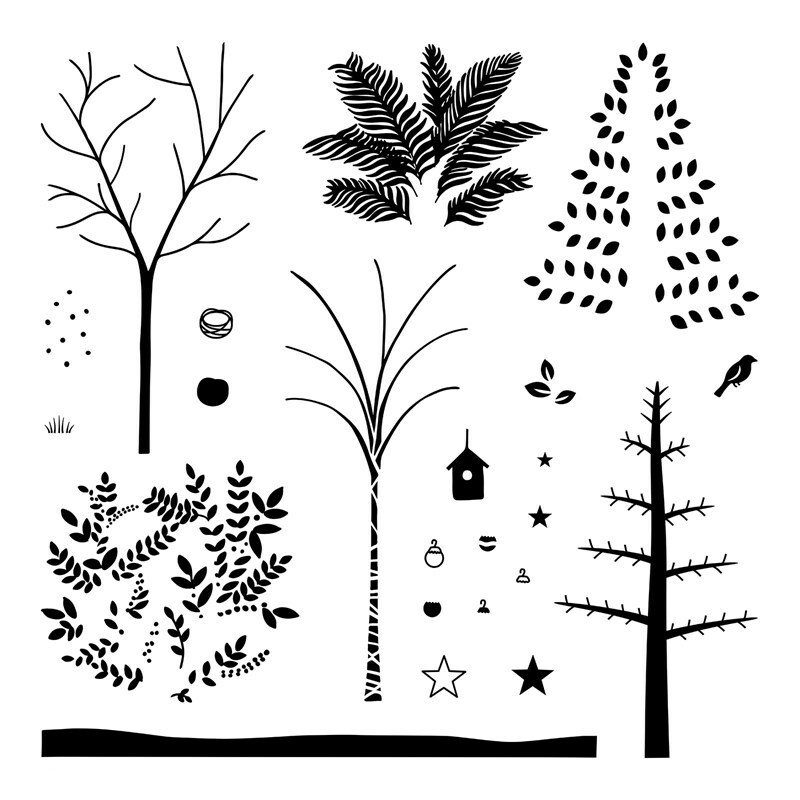 Tomorrow is the last day to grab the November Seasonal Trees Stamp Set. Can you believe it’s already the end of November!? Wow! As always, you can purchase this set for it’s retail cost of $18.95 OR you can get it for only $5 when you purchase $50 or more. A pretty great deal! 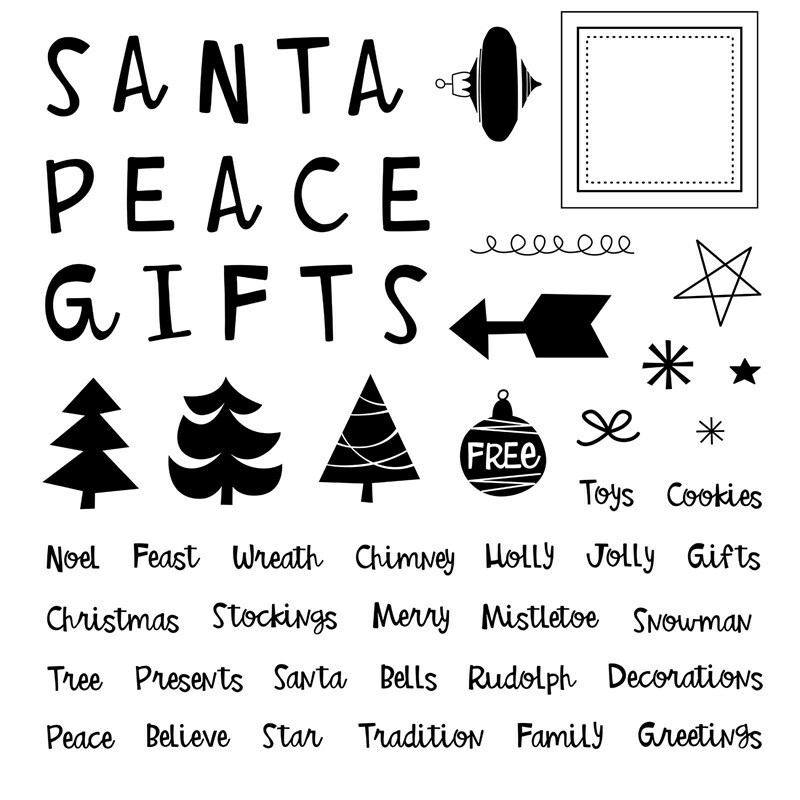 To get your own Seasonal Trees Stamp Set or any other Close To My Heart products you need, visit my ONLINE CTMH STORE. This entry was posted in CTMH Card Ideas, CTMH Specials, Holidays and tagged Close To My Heart specials, Holidays, Stamp of the Month, stampers, using clear stamps card making. Bookmark the permalink.